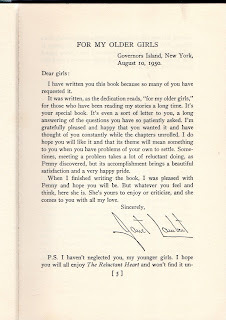 A longtime collector of Janet Lambert's books, I recently gave up the twenty-year search for the missing volumes in my collection, and ordered them via Image Cascade. It's so exciting to finally be filling in the pieces of the long and involved Parrish/Jordon family series. Rainbow After Rain (1953 - #25) directly follows Don't Cry, Little Girl, in which Tippy Parrish's beau Ken Prescott is killed in action in Korea. Tippy spends the second half of the book trying to deal with her grief, her family's sympathy, and the still-devoted Peter Jordon, who has been in love with Tippy for years. As Rainbow After Rain begins, we find Tippy Parrish working as an errand girl at a television studio. Her sister Penny invites her out to a swanky lunch and calls her "cherub," a term of endearment Ken had picked up as well. "She was suddenly lost and lonely. High above New York with its rush and noisy commotion, its crush of people all trying to go somewhere, climbing to success like a lot of pygmies scaling a ladder, she was just a small, disappointed girl with no particular ambition, staring out at a summer sky." Penny has an exciting opportunity for Tippy--to play a part in Penny's new play. But Tippy demurs the offer. She is living at home with her parents, her beloved dog Switzy and Trudy, who, as always, has words of wisdom to share. She talks with Tippy about Peter Jordon and Tippy goes upstairs to contemplate the two pictures on her dresser of Ken and Peter. She's terribly muddled about her feelings for Peter. He was so kind to her when she was grieving, but does she feel more for him than friendship? 'I'm a handsome cuss. By reversing all accepted standards, I could win first prize in a beauty show.' His nice grin flashed down and he held her away to look at her. 'Boy, oh, boy, you're something to see,' he said, and hugged her so hard her little hat went off the back of her head. 'I'm the proudest guy in New York.'" "Dear, companionable Peter, she thought for the hundredth time in the last few years...solid and predictable. As dependable and even running as an electric clock. She sighed a little." Tippy notes his references to his happy bachelor life, and finds herself puzzled and a little disappointed. Meanwhile, Alice Jordon Drayton is enjoying married life to Jonathan Drayton. Loving both Tippy and Peter, and wanting to help them achieve the same kind of happiness she has, she comes up with a plan. She invites Christy (Jonathan's pretty sister) to visit as well. "'She can make a play for Peter that will knock Tip for a loop.'" Then it turns into a big house party, the first of Alice and Jon's married life. As happy as she is in domestic life, Alice still has a bit of sassiness to her. She tells Jon about a visit she had from a census taker who asked her occupation. "'I said, 'I'm a home executive.' I am. I think 'housewife' is inadequate. Running a home, not just a house, takes execution. And management, and a lot of brains.'" Jon, being the enlightened husband he is, agrees completely. Peter and Tippy arrive, and soon the four are joking around as usual. Tippy loses a race, and Peter decides her forfeit is a kiss, but Tippy delays the forfeit. Christy arrives, and is pretty and charming, and Peter notices. Tippy notices Peter noticing and feels some strange pangs of jealousy. Peter and Tippy go off on a picnic together, but with much reluctance by Tippy. She and Ken had many happy picnics together, but Peter makes her go, and keeps pushing her despite her increasingly surly attitude. She eventually blows up at him and Peter says: "'Blow another gasket, kid, it'll do you good.'" And it does, as her tantrum releases some of her tension and anxiety. They head back to Alice's for the party, where Alice has a treasure hunt planned. Christy and Peter are paired together, and Tippy gets more pangs of jealousy. But Christy wants to return to her own beau and hangs up her part in Alice's scheme. The foursome head to the beach and another race and another forfeit takes place. "Peter just stood and grinned. 'Forfeit delayed,' he said in such a low tone that Tippy felt a delightful quiver of anticipation. He wasn't pining for Christy!" At the beach, Peter shares the news that he has to go to the Pentagon and decide whether he will go to the Far Eastern Command or to Turkey. He hopes that Tippy has some ideas about his decision, especially since his going to Turkey means he could get married and bring his wife, but Tippy hides her feelings. "There wasn't really any way to figure it out, so he obeyed his longing and slide closer to her. 'I think I'll claim my forfeit now,' he said, twisting her around. 'Sit up, childie, and take your medicine.' And he pressed their lips roughly together." There's no comment on how Tippy feels about having her lips pressed roughly against Peter's. "'You have to face things. You'll never know what life with Ken might have been. You'll never have the chance to know. It might have been very beautiful, or you might each have changed and found someone else before it came time to be married.'" "she bent over to wipe her eyes and cheeks and even her wet trembling lips on the hem of her cotton skirt. 'I look so awful,' she wept again, coming up. 'But I--I love you so much. Oh, Peter, will you marry me?'" He said as soothingly as he could, "'Stop crying, Tippy! I'd be very happy to marry you.'" "Her lips came up to meet his in the first real kiss he had ever given him. It was a kiss of love--tender, passionate, and clinging; and it made him know, ever more than her words had done, that her heart belonged to him now, completely and without reserve." He gives her a "miniature" of his West Point ring, and she wants to get married immediately and return to Texas with him. But the family and Peter talk her down, thinking that she wants to marry before she changes her mind. 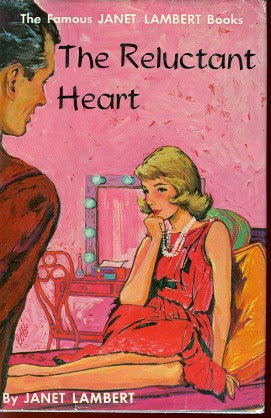 As the book ends, Tippy puts away Ken's picture and tells Peter that she wanted to marry him immediately because she was frightened of losing him as she lost Ken. They kiss, and fade out. This book has a really interesting plot running through it. I feel suspicious that fifties sensibilities and the return to homemaking life for women is pervading this series. Although Penny is still a successful, hardworking actress, Alice seems content to stay at home creating a home with her husband. Tippy seems easily dissuaded from working, although by all accounts, she is good at her job. Her boss, Miss Turnbull, seems to be the fifties spectre of the working woman, the spinster who is obsessed with her job because she has nothing else going on in her life. 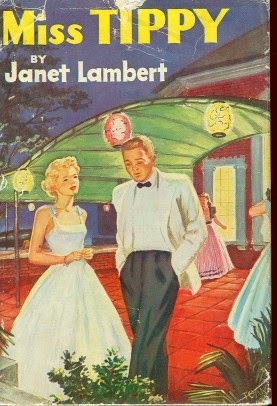 Again, Janet Lambert's gifts are in her creations of solid, realistic relationships. The turning of a grieving Tippy to patient Peter could easily be a tenuous, unrealistic connection based on her loneliness, but Lambert works hard to create a connection between Peter and Tippy that is based on friendship and real love. It's a lovely payoff for both characters. While Tippy Parrish eagerly awaited the arrival of Ken Prescott, she dreamed of love and marriage. And when she found his sentiments to be the same as hers, her happiness bubbled over. Then, quite suddenly, Ken's leave was cancelled. With a heavy heart, Tippy put away the lovely tablecloth she had purchased for their game of make-believe at being married. As Tippy bravely say Ken off to Korea on the morning plan, she gave some serious thought to the months that lay ahead. She would learn how to knit, to sew, and to cook, against the day when they would be reunited once again. She would write him regularly, and look forward to receiving his precious letters. Let me refer you to the last line of the inside flap blurb: "one of Mrs. Lambert's most unusually charming and appealing stories." Spoiler: the blurb writer has a very strange idea of what connotes charming. Of course, the books are all charming and appealing, but this novel has some incredibly serious emotional heft to it. We open as the Parrishes are driving from New York to Washington, D.C., bringing Tippy to meet Ken Prescott on his quick leave before he heads to Korea. They check into a hotel (with two rooms and a sitting room for proper entertaining) and set to discussing Tippy's relationship with Ken. "All the Parrish children were accustomed to discussing their feeling with their parents. Happiness always bubbled out of them in gay little fountains; and when they were drenched in a sudden shower of sorrow, they ran for comfort and loving advice." "'Cherub,' he said. And Tippy ran straight into his outstretched arms. 'Oh, cherub, darling,' he breathed as his lips met hers and that was the kiss Tippy had worried about, and a proposal of marriage, all rolled into one." 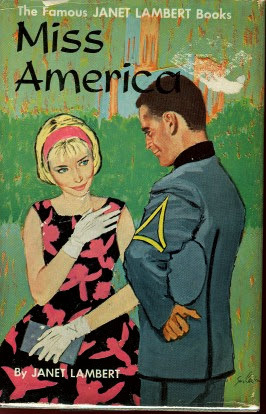 Tippy and Ken talk to the Parrishes about love and marriage, go on a picnic above the Pentagon, and plan for the future. Although Tippy considers them engaged, Ken is realistic about the fact that Tippy is just eighteen and Ken is headed off to war in Korea. "'I'm going into a war, Tippy; but I'm coming back. Your love will bring me back. Just keep thinking and knowing we'll have all the rest of our lives together. We will.'" "'For two whole years, I've gone around all mixed up and dissatisfied. I didn't know what was wrong with me; and now it's just as if a bright, dazzling light had been turned on and I can see.' She caught her breath with a little gasp and said as she let it out, 'I didn't know love could do this to you.'" Ken leaves and Tippy is sad but elated at her newfound love and their future together. She breaks the news to Alice, and to the always understanding Peter. Tippy goes to college, but is bored with it. She tries domestic housekeeping, learning to sew and cook (not very successfully.) She visits Peter at West Point, who is again, very understanding. She makes a few friends at college and sets one up with Bobby. Then, Alice breaks the news that she will be marrying Jon Drayton in June. David gets his orders to ship out, and Ken continues to write. "Tippy couldn't know that Ken had taken his precious rest hour to scribble that last note; that grimy, aching from fatigue and cold, he had sat in a bombed hut with its windows out, its roof blown off, holding a cup of hot coffee in his hands to warm his stiff fingers enough to hold a pencil." He writes another letter as well, one that is much harder to write, the one that reads: "To be mailed in the event of my death." Christmas comes and goes and Tippy is not receiving any new letters from Ken. The family begins to make cautious inquiries through the Pentagon, but no news. She is snowed in at school one day, and has a lovely time, riding in a sleigh up to West Point for the weekend. While she's having a marvelously gay time, the family gets the news that Ken has been killed. 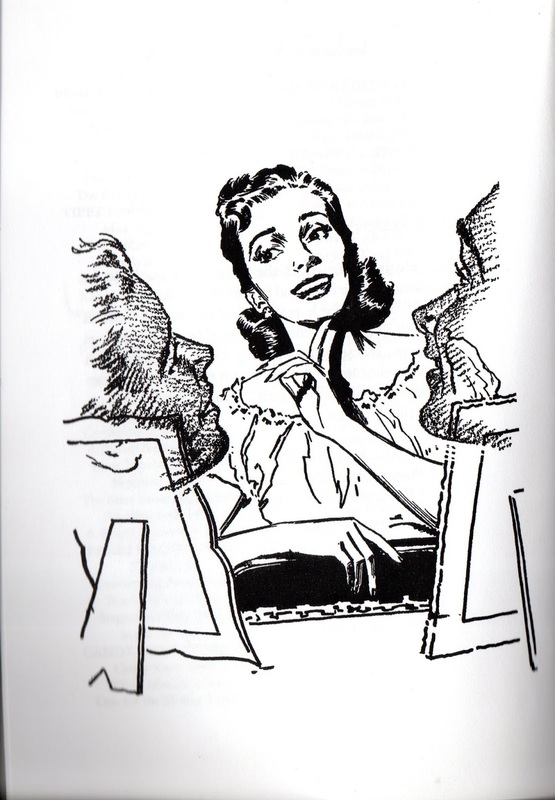 Mrs. Parrish speaks to Peter, with Tippy for the weekend, and asks him to break the news to her, that Ken died of wounds after he'd been evacuated and placed in a hospital behind the lines. And very gently, he does. Penny's husband Josh comes to get her and brings her and Peter home to the Parrishes. Tippy is quiet and still, and won't cry. The family agonizes, and Trudy steps in with some hard truths and love. "'You can stay in this room for all the rest of your life, but you ain't ever goin' to see him walk in that door with his eyes shinin' an' his arms held out.' She pushed deep into Tippy's numbed emotions and stirred them to a sluggish wakefulness." "Love me always, as I'll love you wherever I am. Keep me deep in your heart; but let the love we've had lead you on to another love that will fulfill the good life we planned." Soon, Peter's graduation and Alice's wedding are approaching, and Tippy gets through them all. 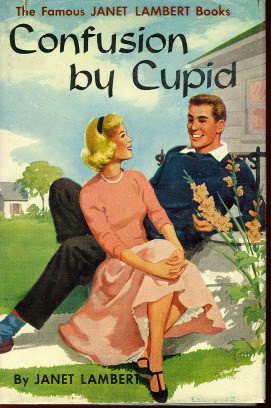 The book ends with Peter making a mild declaration of love. "'I'm such a different kind of guy. But I love you, Tippy. I'd do my level best to make you happy.'" And the book ends, with Peter's hand warm in hers, and "only her heart wept in the silence." Don't Cry, Little Girl is moving, emotional, sad, poignant and heart-breaking. Lambert really digs into the family relationships and how grief affects the family and friends and how hard it is to know how to help heal. Again, some really lovely writing about love and marriage, and Ken's letter is wonderfully eloquent and generous. Even by today's standards--perhaps especially by today's standards--Lambert's writing about love and relationships is unusually wise and complex and insightful. A year in another country can be a very, very long time, and Tippy Parrish is not at all sure she is going to like the changes time has wrought on this side of the Atlantic. For one thing, pretty clothes cost much more than they did a year ago. 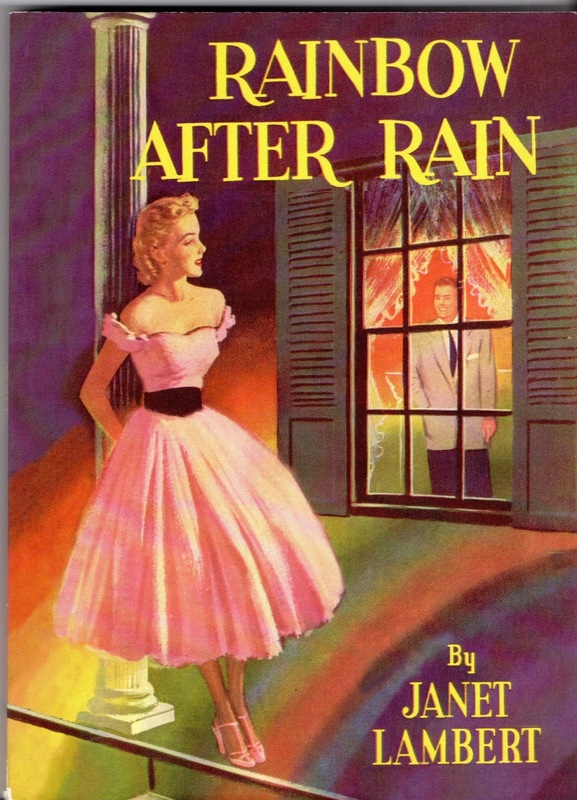 And people have changed too: Bobby, unpredictable brother Bobby, wants to leave West Point to go into advertising; and Alice Jordon, Tippy's beloved "Alcie," seems just a shade distant, with a secret she doesn't care to share. But most painful of all to Tippy is that her dear Peter Jordon keeps getting lost behind a smoke screen of memories raised by handsome Lieutenant Ken Prescott whom she left behind in Germany. "She was such a lovely combination of all the Parrishes. Dark eyes and brown hair had blended with blue and blond, and had turned to gold for Tippy. She was all cream and gold, but for her curving red mouth that had winking dimples at its corners." Tippy is excited to see Alice and Peter waiting for her as well. [Sidebar: Through these novels, people keep calling Alice "Alcie" and when I was a young person, I always thought it was a massive typo.] Tippy decides to go home with Alice and Peter instead of her family and thinks about Peter, "the boy who had topped her list on Governors Island." "Clean-cut, with fine gray eyes. Not handsome--when matched against a certain young lieutenant she had known in Germany--but with a firm trustworthy mouth, and the same sweet smile she had remembered. His light hair was a little longer and crisper than its one-time boyish crew cut, and it softened the stark plane of his cheek and made him seem--seem ... Tippy giggled inwardly at her quick, pleasurably summation of him ...darned attractive." Through these novels, Peter goes back and forth in Tippy's estimation between handsome and not quite handsome. Depends on the day, I guess. Alice and Peter bring her back to General Jordon's house on Governors Island. Peter, fully aware of his competition in Ken Prescott, kisses her hello and prepares her for the fact that he, too, has been dating. Alice fills Tippy in on Maxsie, and Tippy fills in Alice on Ken. But Alice evades questions about other boys she might have seen while Tippy was gone (for example, Jonathan Drayton), while Tippy suffers pangs of jealousy about Peter. After Tippy has a rough night of homesickness, she and Alcie get up and go shopping for beautiful dresses. They meet Gwenn at the Waldorf, where Maxsie is lunching with Gwenn. At the lunch: "Tippy wondered where she came in. She was neither ultra-smart nor happily unconcerned." "'Don't ever willingly hurt people, Tippy. If they hurt you, try to see what makes them do it. Turn your thoughts into their thoughts and try to see what circumstances make them behave as they do. Josh has shown me how to do that.'" Mrs. and Colonel Parrish are in Washington, as Colonel Parrish recovers from his recently re-injured war wound. Penny and Carrol and their families have a plan to buy the Parrishes a house near both of their stately estates. Tippy convinces Carrol and David to come up to the Point for a hop, and Tippy has a wonderful time with Peter. Penny and Tippy head out to the new Parrish house, which Tippy is ready to decorate for her parents, and receives her first letter from Ken Prescott, addressed to "Cherub darling." Tippy almost collapses for joy, and then sadness as she misses him. Good news soon comes, as Switzy, Tippy's beloved dog who was a present from Ken, is soon to arrive in America. She goes to visit Peter, and he hopes to take her down the path to the Kissing Rock. She evades in a very honest way, and they have a talk about their possible love. Peter ends with "'You're the tops, Tippy, the cream. You're the girl I want.'" Tippy's busy preparing the house for her parents, which is supposed to be a grand surprise. But when her mother calls and sounds exhausted, Tippy shares the good news. Her parents returned and are pleased with the house, which is a suitable place for Colonel Parrish's retirement. All is well until the family learns that Bobby is doing very poorly in his work at West Point. This book's significant heart-to-heart (every Lambert book has one that is particularly important) is between Tippy and Bobby, as they talk very seriously about his career in the army, and how he's not sure it's for him. Tippy enlists Peter to talk sense into Bobby. Winter plods on and there is talk of war, especially from the television set the Parrishes have purchased for their country home. Tippy briefly considers the idea of becoming a WAC--after all, if Bobby leaves the army, someone has to take over. Bobby graduates and becomes a first-classman, and it's June Week. Tippy meets Jonathan Drayton at Alice's party, and finally finds out how close he and Alice have become. The threats of war have become real and North Korea invades South Korea. Tippy and her mother discuss the upcoming war. David has asked to be recalled, and Carrol is ready to follow him anywhere. Colonel Parrish is looking lonely to Mrs. Parrish in his civilian clothes. Penny and her mother have an interesting discussion about war, as they discuss the atom bomb and the destruction they saw in Germany. 'I think women will,' her mother answered quietly. 'I think that, someday, women, who bring life into the world and so value it more than men, will see that the peace is kept, and their children grow up to normal lives. The Russian women love their children, Penny; the North Koreans, the Germans, American, British, French. Women are all alike the world over. We must have more of them in politics. That's the way to stop war.'" Yes, Mrs. Parrish! Represent! Tippy and Peter have another thoughtful talk, and then she and her father do the same. He gives her a letter from Ken where he lets her know that he is off to war, but would love to see Tippy, if her father thinks it's wise. Despite her plans with Peter, she is excited to see Ken before he goes off to Korea. The family plans to go and see Ken in Washington to give Tippy and Ken more time together. Tippy novels are not quite as delightful as Penny novels. She's not quite as engaging a character, and she has a heck of hard time. Always the baby, the afterthought, teased by Bobby, and dragged halfway across the world by her parents. Plus, all of the romantic drama between her two army beaus. This feels like a transitional novel. There's such a sense of dread, as war is approaching, and Ken is heading off to the thick of it. There's also the growing pain of having your dear friend be more ready for love and commitment than you are--I think of Anne, and her relationship with Diana, in the same way. It's a novel of adjustment, as she returns from a war-torn country to one on the brink of war. It all feels very expectant. Penny Parrish, glamourous, successful young Broadway star, didn't want the part! Even though Josh, her husband-manager, had undertaken to produce the play with her in the leading role, still Penny preferred the country and the two babies. Let Neda, beautiful little schemer that she was, play the part; she, Penny, was happily safe in her love, her home, her children--and there she would stay. That she was being selfish never entered her pretty head. That Josh missed the gay, enthusiastic, ambitious young actress he had married five years earlier just never occurred to Penny until it was almost too late. The Reluctant Heart opens with Penny gardening at her home in the country. Now 26 and the mother of two, she is enjoying life at home while Josh toils away in the big city in the theater. Trudy, though, is not approving of "be-kind-to-Penny day." While Mrs. and Colonel Parrish are away in Germany, it falls to Trudy to tell Penny all about herself. 'Seems to me you're protestin' a lot,' Trudy returned placidly, 'and seems I can remember you tellin' Mr. Josh that you could run this house and act with your hands tied behind you.'" Penny contemplates her happiness, her love for Josh, and asks advice of the photographs of her family showcased in every room. We get a bit more background on the family, and I can't not mention when Parri meets the new dog, who they've planned to call Steadfast. "'He's Dog,' Parri crumpled up on the grass with a mass of sudden wriggling love on her lap, and explained as carefully to her mother as her mother always explained to her, 'His picture is in my book. It says he's Dog. He is.'" Adorable child logic. Penny plans a little matchmaking between cook Minna and gardener John and studiously avoids the aforementioned play. She eagerly meets Josh when he returns from the city. 'I can't? Who says so?' Josh pulled on his brake and leaned out to kiss her deeply. 'It's what I think about but keep like loose change in my pocket.'" "Then what do you say we get our money's worth out of our extra-wide box spring with oversized mattress and sheets that cost twice as much as a regular pair?" "'I can't breathe for him, Penny,' Carrol reminded gently. 'Not for the rest of his life. Davy has to grow up and be a man, you know.'" '"I'll expect some good tickets for opening night,' she leaned over to whisper coyly. 'Of course, I'll pay for them, but I trust you to see that I have eight or ten in one of the first three rows. We must give our Mr. Parrish a royal ovation.'" This conversation, and Penny lying about how much help she is to Josh, causes a customary Penny Parrish crisis of faith. She returns home and reads the play and is anguished, thinking she no longer has the ability to act. Josh comes home and calms her down. She throws herself into helping him with the play, possibly even more than Josh wants. She even invites Neda down to the house for a working house party, which Penny wears herself out preparing for. "By six o'clock she was ready. Parri looked like a red and white valentine in her new smocked dress, Joshu like a Schmoo in his night gown. She herself was the very charming country hostess, very informal in pink linen, and very, very tired." However, Josh and Neda don't show up until 9:00, along with Brooks Cameron, the stage manager for the play. Neda is barely out of the car before trouble begins to rear its head. Penny sends Josh to broils steaks for dinner and links arms with Neda to welcome her. "'Poor dear, she shouldn't have to when he's so tired.' Neda looked proprietary as she pulled back and waited. She was hooked to Penny but she waited for Josh with almost wifely concern and helped him out of his jacket with her free hand. Penny was too happy to notice." Penny offers to take Josh's jacket, but "Neda kept it. 'I may slip it on if it gets cool,' she answered." We have only just met Neda and my hackles are rising like crazy at this scene. Even Brooks notices Neda's attentiveness, but Penny seems to miss it altogether. "He had had a brush or two with Neda's wiles and knew of several others, two of whom had been her husbands. The child beside him was no match for Neda Thayne--especially if she stuck to the country and her mother role." Penny sets up for the living room rehearsal, and eagerly awaits helping Neda and Josh with the play. However, Neda refuses to act in front of Penny, and Josh backs her up, sending Penny away. "It was like patting Parri when she was sent off to bed, and Josh hated it. For one mad moment he was tempted to hurl his script at Penny, to shout, 'Come back here! Come back her and get on the set where you belong! This whole darned business is your fault!' But he only stood and watched her cross the hall." The weekend becomes far less fun. I love this line from Trudy: "'Miss Neda's a mighty pretty girl, but from what I've seen through the kitchen window she don't know much more about actin' than Dog does.'" Finally the weekend is over, and Josh goes back to town. "Penny drove Josh to the village next morning, and while they waited in front of the drug store, she remarked, 'I feel as if I'm sending a nice present to Neda--neatly wrapped in a gray suit and tied with a hand-painted scarf from Sulka's.'" Josh runs into David on the train and they have a heart-to-heart about Penny. David asks why she's not pulling her weight in the family, especially since she was so devoted to the idea of being an actress. Josh gives him some outdated (even at the time) business about how women are meant to be wives and mothers, but David retorts with, "Yeah, but Penny didn't play with dolls much as a kid." As rehearsals continue, Penny begins to feel more and more left out. Penny didn't like the 'if Josh stops paying.' She preferred 'when.'" Josh is increasingly worn out from the rehearsals and comes home late and exhausted. And then, he doesn't come home at all. Penny calls everywhere and not finding him, decides to head to town. Not out of anger, but because she is sure that wherever he is, he needs her. She takes the train and a couple of giggly girls on the train tell her they have a bet on whether she is Penny Parrish. But what would Penny Parrish be doing in the country, wearing a "country coat and dotted dress." She finds Josh in the apartment and tells him that she wants to buy out Neda's contract. "'I just found out tonight that I have to be in the play. I want to be,' she said, when he was silent.' I want to be with you, and working. The children aren't enough. I found that out, too. Nothing's enough when we aren't together, when I'm not a part of you. Can you see that?'" Little does Penny know that just that day Neda quit, "or got fired, or whatever you want to call it. She was so lousy we couldn't go on." Josh was worried that if he came home, Penny would want to ride to the rescue, but she made up her mind all on her own. The next morning, after little sleep and less food (and no stockings for Penny! ), they head to rehearsal, where Josh tells Penny the cast will "welcome her like healing sunshine." Josh tells the cast the news about Neda and introduces Penny. "'She asked me just now what I intend to call her, and I'll tell you so you won't be surprised. I'll call her Penny, Miss Parrish, stupe, dope, or darling, just as I do at home. And if you hear her fling a rousing 'idiot' at me, just take it in your stride. We're family here.'" Penny handles everything in a forthright manner, greeting the cast with humility and charm. The big news is that they are going back to the original script, which had a lesser role for the romantic lead. Jervis Travers, the romantic lead, is not very happy about that, but Penny talks to him about how disappointed he must be and tries to keep the co-billing for him. Penny even goes to talk with Neda, who is not easily placated, even when Penny offers to put in a good word with the producer of a new comedy. Rehearsals take over their lives and they work incredibly hard, since they have only a short time until opening. "Josh was completely happy and completely mad through it all. He did inquire for his children's health when she telephoned them, but she was sure he didn't hear what she answered." She teases him that he doesn't even remember who she is, and she does her best to remind him. "He rested his elbows on the table and watched her strike a tabloid pose, the tip of her show just touching the floor, knee bent, dress pulled up to show her leg. 'I wonder how I've missed seeing you around,' he said. 'You're a honey. Could I make a date with you sometime?'" So cute. Nick and Nora, look out! They travel to Philadelphia for the opening, and Penny brings the children, which results in mostly happy chaos, although Penny hates the idea of leaving them. And Josh responds: 'Probably, after they've been in business as long as men have. They're still rather new at it.'" "'Carrol's sick,' David had written, and sent the note in by special messenger. 'Don't know exactly what is is--nervous crack-up or something. I know how busy you are, but would appreciate it if you could come out when the play gets running.'" Josh calls out to Gladstone and talks to David. Davy is out of his braces, and Carrol who had been so calm during the whole thing, has been having panic attacks (though he doesn't call them that). That day, she passed out completely and they had trouble reviving her. Josh finds Penny during the acts, and although he doesn't tell her about Carrol, "he pulled the V in her robe a little nearer the center of her small curved breast and added lightly, 'Lord, but I'm glad you're so bubbly and know how to let your worries out. I'm even glad you're a little nutty.'" The play is a great success, and they drive out to Gladstone to see Carrol. The diagnosis is that she was so strong during Davy's illness that once he recovered, she collapsed. Penny prescribes lots of activity and time with baby Lang, who Carrol feels that she's neglected. Carrol's illness gives Penny pause and she decides to bring her children to New York with her. "A family meant being together, she reasoned, even if is had to be in the middle of a crowded city. Cities had parks where children were taken to play, and apartment houses had elevators that were just as exciting as stairways." A mild misunderstanding takes place, where Josh thinks that Penny is pregnant when she's only talking about the new apartment. But it all works out. Then, just as Penny is happily apartment-hunting, Terry Hayes shows up at the theater. Since Josh is out in the country, Penny invites Terry to go see an apartment with her. Her loyal dresser, Ma Harkins, is suspicious about Terry stopping by and warns Penny not to let him stir her up. Penny dismisses her concerns and heads out to the apartment. "Terry Hayes loved Penny because she was so completely herself. All her thoughts poured out, her feelings; and she had often reminded him of an artist's palette that was daubed and splattered with bright colors. Each mood was a bright splotch until it was mixed with another, blended into a startling combination or toned into a shade." "'Please don't,' she said, when his hand touched her cheek. 'I'll kiss you if you want me to, but I'd rather not. It would be like a stage kiss, with my mind on other things.'" His hands grasped her wrists and pulled her up. His grip was strong and she whimpered, 'Oh, Terry, you're hurting me.' Then his lips crushed against hers.'" The super comes back and Penny leaves for the theater, telling Terry: "We can't have dinner together, now. You aren't a Terry I can know." "Things like this happen, darling, and we can't wrap ourselves in cellophane to keep life from touching us. The little events don't matter and can't hurt us as long as we know our love is too strong to be hurt." "'Good morning,' he said, ignoring her shriek. 'You may not remember me, but I'm Robert Parrish. I've been told I have a sister living in New York and I brought a photograph along so I could identify her.'" Bobby's stopped by to give the good news that Colonel, Mrs. Parrish, and Tippy are coming home from Germany. Tomorrow! Trudy will be going back to her beloved "Miz Parrish" and preparations are taking place when Parri falls down in the bathtub and cuts her head. Penny takes care of Parri and still makes it to the theater on time. Talking to Josh afterwards, she's pretty proud of herself. Having juggled so much so responsibly, she asks if he thinks she's finally grown up at last, and he laughs. "Penny loved the safe haven of his arms and rested her head against his shoulder. 'I've changed my mind,' she said, 'about this being silly way to learn a living. It's a lovely, happy way.'" And end book! As Janet Lambert says in her introduction to the book: "For My Older Girls," this is a book that handles some pretty grown-up issues of love, marriage, careers, children and how to balance them all successfully. I love that the answer is not for Penny to stay home with the children, but that the best thing for her marriage is to work side by side with her husband in the theater. I also love that when Josh spouts off (not very convincingly) about women being made to be wives and mothers, David just as casually shoots that idea down. Even Carrol, the paragon of beauty and love and motherhood, can't keep it together forever. I love that there is serious, realistic drama in Penny and Josh's marriage, with the appearance of the very real threat of the cunning actress Neda, and Penny's changing reaction to her. Also, Terry Hayes coming to town and confessing his love to Penny, which sends her into a tizzy, is so beautifully handled by Josh. I think it's fascinating how they look to Penny's parents as examples of a strong marriage, but that their marriage is not a carbon copy. It's strong, but in a different, more modern way, and a beautiful example for anyone to follow. In addition, Penny is such a charming, fun character and it's exciting to see her grow up and become a really competent grown-up, career woman, and wife and mother. Gwenn Jordon missed no opportunity to remind her step-brother, Peter, that his favorite girl, Tippy Parrish, had found a great admirer in young Lieutenant Prescott in Germany, and as the present story opens Peter is thoroughly mad. Especially at women. If it had not been for Alice, his other step-sister, he didn't know just what he would do. Of course, there was a pretty little lass from out of town, but just how much did she count? Meanwhile Gwenn and Alice went to a house party at Bill Hanley's where Alice was to have been the guest of honor. Gwenn, however, having just fallen out with her own fiancé, decided to get even with him by making herself the belle of the house party. After that what happened? Was Alice, sweet, reliable Alice, able to extricate her thoughtless sister from a wretched situation that jeopardized the happiness of two families? And presently just how did Bobby Parrish feel when he found Alice admitting that Jon Drayton (remember Christy Drayton's brother?) was an awfully nice chap? And what finally became of the lad to whom Gwenn had been engaged? Truly--all was confusion--with Cupid hanging his head in discouragement. 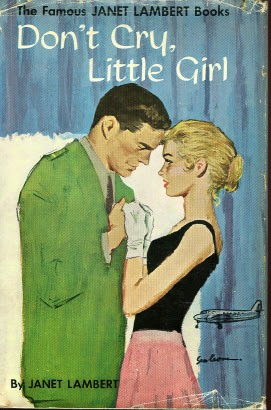 "Peter Jordon, who was never going to look at a girl again, at least not until a very special one came home from Europe, or until he became a second lieutenant in 1951, presently found himself with a very pretty one, sitting on the upper deck of a Fifth Avenue bus and forgetting his own mild trouble in the greater tragedy of hers." She got fired from her job at a dress shop for stealing, though she didn't do it. Peter provides a sympathetic ear, and wants to help the very pretty Maxsie out. After all, his nickname at West Point is "Wrecker," because he's always hauling people out of trouble. "The MacDonald's back lawn was a combination flower garden and kitchen. A small pavilion had been built against the high background of a hedge. It had a striped canvas roof, a brick floor and back-wall; and against the wall was a brick stove and flames dancing up through its grill, a built-in sink, and a small refrigerator. Copper pans, long-handled forks and basting spoons hung in a row above the sink beside a small cabinet gleaming with enameled plates." Peter and Alice go and visit Maxsie's ex-employer and persuade her to take Maxsie back. They stop by her apartment to give her the good news, and Peter ditches Alice and takes Maxsie out to lunch. He invites her up to West Point for a hop, and heads back to the Point. Alice and Gwenn and the younger children are left at home. Gwenn is engaged to a cadet, Budge, but bored with him, so when Bill Hanley calls up for Alice, Gwenn butts in and invites him over, but proceeds to have one of her customary tantrums. Loyal housekeeper Ellin talks Alice down from her tremendous guilt she has whenever Gwenn misbehaves. Despite her earlier tantrum, Gwenn makes an entrance during Bill's visit. "From then on the afternoon sped like a runaway street car that has jumped its track and is having a gay, mad time on the loose. Gwenn twinkled and laughed. She flitted about like a fairy, refilling Bill's glass and rapturously echoing his praise of himself in a soft Southern accent that had been laid away for four years." When Gwenn finds out that Bill has invited Alice to a house party, she demands that Alice go and that she be invited as well. She has an alleged breakup latter from Budge (which Alice doesn't read) and sobs and sobs, until Alice relents. They head out of town to the party at Bill Hanley's where they meet Christy and Jonathan Drayton and Roger Lynn, who seem surprisingly nice, unlike the blowsy, Hollywood Hanleys. Jonathan mistakenly thinks that Alice is the extra girl, not the one that Bill asked down, especially since Gwenn is very attentive to Bill. Bill and Gwenn go off on a drive and don't come back all night, to the house party members' consternation, particularly Alice's. Bill phones the next morning, saying the car broke down, but with little other information. A few stressful days pass, and finally a phone call comes with the news that Gwenn and Bill are married. The Hanley publicity machine goes into action, and Alice returns home, driven by Jonathan, "big and dependable," who provides a sensible shoulder to lean on. '"This is Gwenn's mess,' he went on sensibly, when they were on their side of the white line again. 'I know it has to affect you some, it's bound to, but stop blaming yourself because you introduced her to Bill and took her to that fool house party. A gal like Gwenn needs a keeper, but you can't be it. Let Bill have the job.'" Jonathan drives Alice up to West Point to break the news about Gwenn to Peter in person, where they promptly run into Bobby Parrish, ever devoted to Alice. Alice sees Jonathan and Bobby side by side and flighty, silly Bobby does not come off that well. Jonathan drives Alice home and asks when he'll see her again and they make plans for a dance. Alice comes upstairs only to find Gwenn, waiting for her in their room, having left Bill. Sheesh. Gwenn calls up Budge, her ex-financee, who comes to visit and tells her all about herself. Gwenn returns to Bill, much to Alice's relief. Up at West Point, Peter 'recognizes' Bobby and they have a heart-to-heart about Tippy and Alice. We return to the adventures of Maxsie, and her plain roommate Anne. Maxsie and Peter have been dating for a bit, but he's pretty sure she's taking him for granted. There's a big game (Peter is a football hero) and Maxsie asks for an extra ticket. She doesn't tell anyone that the ticket is for the boy from back home, who Maxsie is hoping to impress. When Maxsie doesn't show up for the game, Peter goes to her apartment to find her and finds her with Page Jameson. She expects that Peter will be mad, but he surprises her. "'I don't know how I might feel about having another guy bust up my large evening in New York if I didn't have something of my own to worry about. You see, you and I were pretty well dated up for tomorrow and I just had word that Tippy Parrish is coming home. I was wanting to ask you to let me off to meet her plane.'" Maxsie is ashamed, but Peter keeps it light and invites both Page and roommate Anne to the party at the Waldorf. Yay! Everything turns out just fine, including plain Anne meeting a nice cadet. We end the book with Alice and Peter driving like heck to get to the airport to meet Tippy. "'Gosh,' he groaned, forgetting Alice had ears, 'what if she isn't Tippy?'" "Her tan curls were brushed up around the same small cap with its perky feather; her face, eager and laughing, was above the same brown suit. Her whole body was tense with joy and excitement. A year or an hour might have passed since he had seen her, and Peter caught a deep, ecstatic breath." And end book. A sweet book with a lot about relationships. The complicated, sister relationship between Alice and Gwenn, and how much of a relief it is for Alice when Gwenn marries. At least she's off Alice's shoulders now, even if she went about it with her customary nuttiness. We get to know Peter a bit more, as he dates Maxsie and struggles with his devotion to Tippy, even when she is far away. Bobby has always been devoted (in his own goofy way) to Alice, but when she meets Jonathan, she finds something in his calm strength that she really likes. By all the rules Tippy Parrish should have been having a perfectly marvelous time. 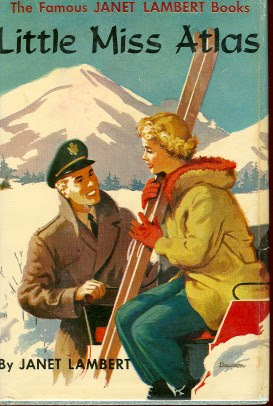 Here she was, in a beautiful little village in the Bavarian Alps where her father, Colonel Parrish was stationed; she had a handsome young American lieutenant paying her flattering attention; she danced and skied and skated the days away. But Tippy was not happy. And why? How gorgeous are these covers? Look at Tippy's perfectly tamed cap of tan curls, and the very, very handsome young American lieutenant Ken Prescott. Dreamy! Sadly, there's no artist listed on the dust jacket. How things have changed! Now, publishers credit everything, from design and illustrations to the person who picks out the font. "'The army defeats me. I don't want to live in Germany, and I wish Dad had retired when he got wounded.'" Her mother responds with a reproving "Don't be silly. We all love the army." A quick catch-up with the family takes place. Carrol and David are taking poor Davy (stricken with polio) to Warm Springs, and baby Lang as well. Penny is turning down acting gigs right and left, worried about her own child Parri, and wishing for another baby. Bobby is at home, preparing for West Point, and Colonel Parrish is already in Germany, preparing for his family's arrival. Things begin to look up for Tippy when she and her mother get moved to one of the ranking officers' staterooms, and she hears that handsome lieutenant Ken Prescott might be on board. She gets in with a group of young people, and runs into Prescott, who treats her with a combination of casual bemusement and growing interest. She confides in him about the dragon that she thinks has gobbled up Germany and Europe and that she's determined to fight that dragon. An interesting observation from Ken as the passengers ready to disembark. We've learned there are thirteen hundred troops aboard, heading to Germany with their families as part of the Marshall Plan, and Ken watches the trucks and boxes and cars roll out. "Ken was proud of the scene. He was proud of his compatriots who brought their electric gadgets with them, their refrigerators, sanitary wire screening, and washing machines; who bought and planned for comfort. They live--right!' he silently told the crates. 'They're what makes America good. And even if it costs a lot to get the stuff over here, Uncle Sam wants them to have it. He wants them to stay used to good living. Unlike Tippy, he was eager to be a part of the scene before him....above all, he was impatient to see the ruined city where he would help bring order out of chaos." Although the first part of this triggers a bit of an 'ugly American' reaction in me (really? they brought refrigerators? ), the last bit redeems Ken for me. We get a look at that chaos as Tippy and her mother drive to Bremerhaven. "Tippy looked at block after block of ruined buildings. Nothing she had seen in the newsreels or magazines had prepared her for this. Whole apartment houses were roofless shells full of gaping holes which had been windows. Now and then a sagging floor showed through; and sometimes a section or even a room could still be used and had people living in it. There was nothing but rubble in what once had been the main business section of the town, nothing but bricks and plaster cleaned away so pedestrians could walk on the broken sidewalks." "'Sometimes she seems as happy as a child,' she answered, 'and is all bubbling enthusiasm; and then, the very next minute, she looks as if someone had struck her or stolen her favorite doll. Tippy is such a strange child,' she sighed. 'She's so much more complicated than the others.'" Life in Garmisch is pretty grim, with little social interaction for Tippy. She's being tutored for her schooling and hasn't met many friends. Ken comes down to visit and introduces her to a lovely family who remind her of Penny's family, and who are kind to the Germans. However, things are so grim that Tippy even looks forward to Bobby's visit at Christmastime. The whole family goes to Switzerland for Christmas and Tippy gets a wonderful surprise visit from Alice Jordon. Tippy is delighted to have her dear friend visiting and confides in Alice that she is in love with Ken Prescott. Alice, loyal to her brother Peter as Tippy's potential swain, is dismayed, especially since Ken is too old for Tippy. They have a nice visit, but Tippy is still unhappy in Germany. Ken Prescott, also in Switzerland for the holidays, has a heart-to-heart with Colonel Parrish, who asks Ken's advice about what to do with Tippy. Ken recommends that the Parrishes send her home. 'And the other reason?' Colonel Parrish's glance was keen and Ken raised his eyes to meet it. 'Thank you, boy. I appreciate that.'" "'You see, Tip,' he told her, 'that's the important thing. We were just a young country then and we made mistakes. Just like kids make more mistakes than grown-ups. And we had the enthusiasm of kids, too. We wanted to grow up to be a swell country and we never got tired, or discouraged, trying. And as we grew, we saw our mistakes and tried to fix 'em.'" I'm not one hundred percent with you on that one, Ken, and neither is Tippy. She feels conflicted about being sent home, and that she's being cheated. "'All these years while I was being 'developed,' as you call it, I was only learning the stuff they taught me. Now they don't want me to use it. It's just as if they said, 'Don't be kind, don't do the best you can, don't help people. Go home and have fun. And that's not fair.'" Ken buys her a dog (the adorable Switzy), and after a lot of thought, Tippy decides to stay in Germany. She chooses to go to school in Munich, and her parents are proud of her decision and her strength of character. She tells Ken about her decision and while he supports her (he calls her "about the biggest little guy I ever ran into and you try to carry the world"), the conversation turns a bit confusing, and leaves them both unsettled. 'Oh, Ken it's what I want most,' she whispered. Then she, too, gasped and clutched her package." Both are regretful at letting their feelings show, thinking the other doesn't return the sentiment. They part as friends, and Tippy runs upstairs to finish her letter to Peter Jordon. And end book. There's a lot happening in Little Miss Atlas. It's very interesting to see post-war Germany through the eyes of naive Tippy, and the efforts of America to help rebuild the country. It's a unique look at a massive Army operation, and the interactions between the Americans and Germans. There's a fairly clear-eyed look at America as a country, although still quite a lot of post-war patriotism. As usual, Tippy struggles, but continues to grow older and wiser. The Parrishes again, and this time Tippy, "going on" sixteen just as Penny was in Star-Spangled Summer, the book which opened that series. As always in the Parrish clan, many things happen at once: Tippy sends out invitations for a birthday dance on Governors Island; Colonel Parrish is ordered to Germany; and suddenly tragedy stalks into the gay Parrish household. For a long time Tippy has been smarting under the failure of Trudy, the beloved colored cook, to call her "Miss Tippy." Trudy is all-wise, all-knowing. When Tippy ceases to be a headstrong, teasing, little flitterfly, says Trudy, and takes on a bit of sorely lacking dignity, she will be called "Miss Tippy," but not until then. As Miss Tippy opens, Tippy is agonizing over invitations to her sixteenth birthday dance on Governors Island, where she lives with her family. Let's meet Tippy! "Scowling was hard, too, because her face was not designed for it. All its features were upswept and perky, from the short inquiring nose and curved lips that ended in a playful dimple, to golden eyelashes with rising tips." Before Tippy can finish the invitations, though, her mother gets a call and finds out that Major Parrish is being ordered to Germany. Tippy protests. What about Penny, and the new baby? David and Carrol and Davy and their new baby? And 19-year-old Bobby, the bane of Tippy's existence, needs to prepare for West Point. 'Daddy comes first, always. I had him before I had you children,' she reminded with a smile, and reached out to take Tippy's hand. 'He needs us. You and me, I mean.'" I think this is a fascinating conversation. There isn't much children's and young adult fiction with such adult insight into relationships. I love that the children are not the center of the world. This is a thread that runs through this book, and gives some interesting insight into the older Parrishes' lives. Bobby won't be going, but Tippy will. Her mother says: "'You're our youngest. You belong with us wherever we go, and we'll hang on to you like grim death." Tippy is distraught and heads over to the Jordons' house, where she shares the news with her dear friend Alice, and older brother military cadet Peter. The majority of the book is spent in preparing Tippy and the Parrishes for the big move. Tippy learns to drive, with surprisingly little teaching. (Maybe cars were easier to drive in the 1940s?) Bobby is, as usual, teasing Tippy by stealing the car keys and they get into a big brawl, right in front of a very young and good-looking officer, with whom Tippy finds herself nose to now. "Tippy even noticed his nose, which was high-bridged but not too large, and his blue eyes that started out quite straight on either side of it then drooped lazily at the outer corners." "He had an interesting profile: A straight nose with a little flat tip on the end, a high cheekbone, a very nice mouth and upperlip, and the oddly slanted eyes. And above them, sandy hair had been parted and forced into neat obedience that erupted in a double cowlick." Tippy and Bobby continue to fight as packing preparations ensue. Tippy ask Trudy for advice, and wonders when Trudy will call her "Miss Tippy," as she calls Penny "Miss Penny." After all, she's almost sixteen. "'But it ain't a matter of age. It's a title you earns. Folks don's measure grown-ups by birthdays. It's what you do an' how you do it that counts. Lots of people older'n me ain't grown up, yet, and lots who's younger'n you, have.'" At frequent times, Trudy seems like the most sensible member of the household. It feels like the Parrish children turn to Trudy for true, thoughtful advice and love. Although Mrs. Parrish loves and supports them, she's a bit on the flighty side. Tippy spends some time soul-searching and after her mother gives her a notebook, she decides that she's going to become a writer. Not much comes of it, though. In other Jordon/Parrish family news, Jenifer's wedding to Cyril is in the works. Oh, and that handsome young officer? 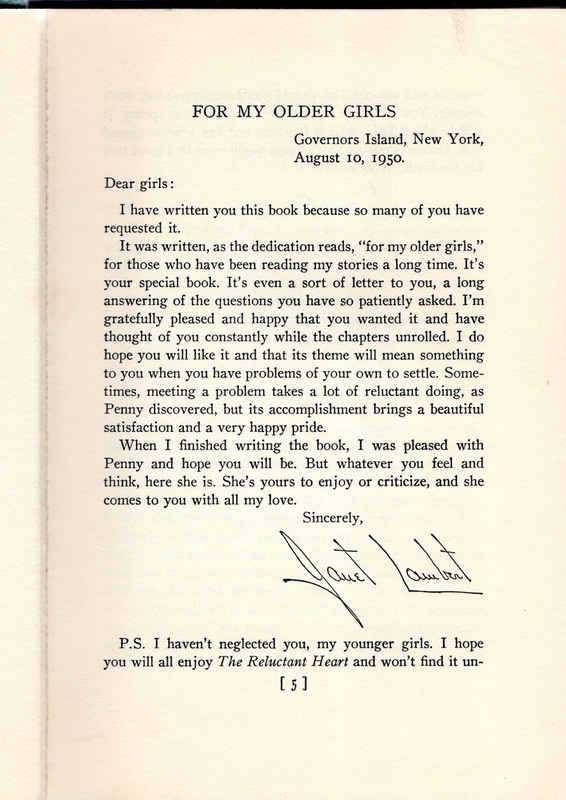 Kenneth Prescott is a cousin to the Prescotts (friends of Penny in her teen years), and stationed on Governors Island. But far too old for Tippy at the ancient age of twenty-three. But Peter Jordon, according to Alice, is just right. Earlier in the book, Tippy sees Peter all dressed up and admits he "almost looks handsome." Peter is a good and steady man, but Tippy isn't feeling it, despite how fun it would be for Alice and Bobby and Peter and Tippy to get married. After all, then Alice and Tippy would be sisters! While the family is at the hospital, Tippy and Bobby take care of little Parri (Penny and Josh's daughter). They visit the hospital and get the good news that Davy will live. He may not walk, but he will live. Tippy is helping the family move out of the house on Governors Island when Trudy surprises her with the title of "Miss Tippy." A sweet interchange follows, with Trudy sharing when she was first called Miss Gertrude by their pastor. Tippy's birthday arrives, and Josh gives her a portable typewriter for her burgeoning (except not) writing career. And the dance is still on! Tippy gets a beautiful new dress, and a surprise party before the dance. Tippy dances for ages, but the infuriating Ken Prescott (who is also going to Germany) and Peter are her most frequent escorts. Peter tries to give her his pin, but she won't take it. '"But do you think you could love me, someday? '"'I don't know that, either. I like you such a lot but, ' she shook her head and laid her hand with its bracelet over his, 'we aren't grown up yet, Peter. We each have so many things to do before we can think of marriage.'" And before she knows it, Tippy and her mother are on the transport ship to Germany, saying good-bye to the family and to the Jordons and ready to start their new adventure. And the book ends. Miss Tippy is quite a bit about how Tippy (sometimes unsuccessfully) is trying to grow up before her time. Trying to resist the pull of fighting with the troublesome Bobby, to figure out how to be a lady, trying to figure out what she wants to be when she grows up, how to help out her family in troubling times, and how to earn the title of Miss Tippy. I'd like to like Tippy more. Ken makes a comment about hoping that she was more like Penny, and I agree. It can be hard to get completely behind a troubled soul--especially when reading these books for pure comfort. Things pick up a bit more in Little Miss Atlas, as we travel with Tippy to Germany, and she gets a sense of herself and the bigger world. Of course, the series gets increasingly bittersweet, as there is a hard road for Tippy ahead, love-wise. Which I'm trying not to think about.